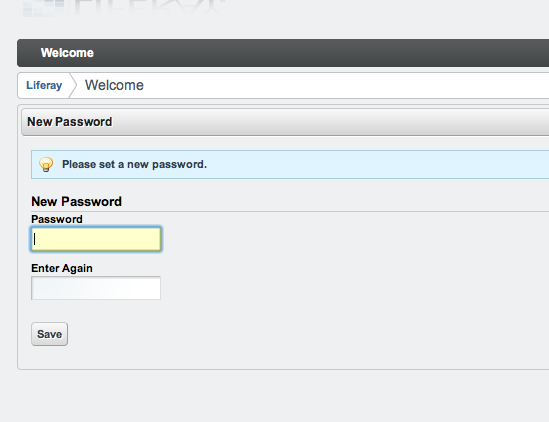 This screen will give you few options to configure the portal, before it deploys all the Plugins. 2) Once you click Finish Configuration, It will deploy Additional Plugins. You will see this intermediary screen. 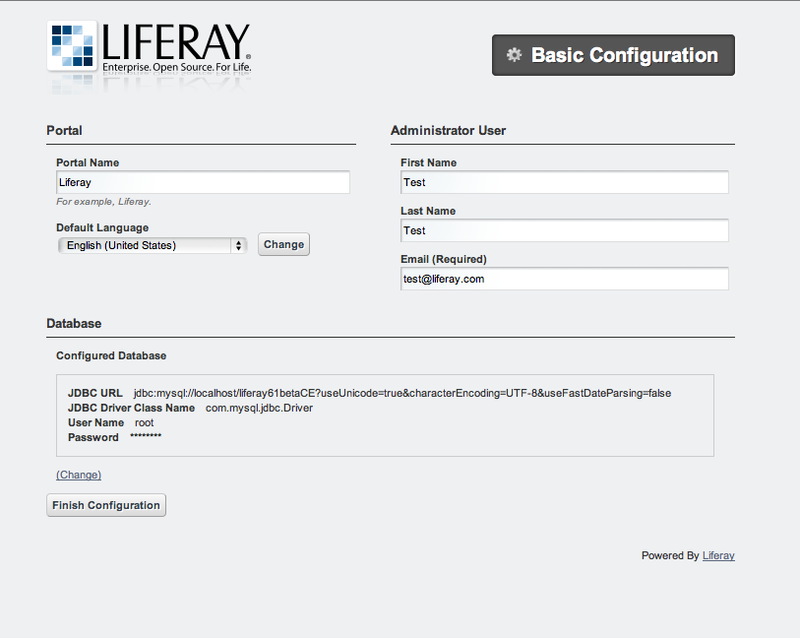 Portal will ask you to reset the default password of test@liferay.com user. 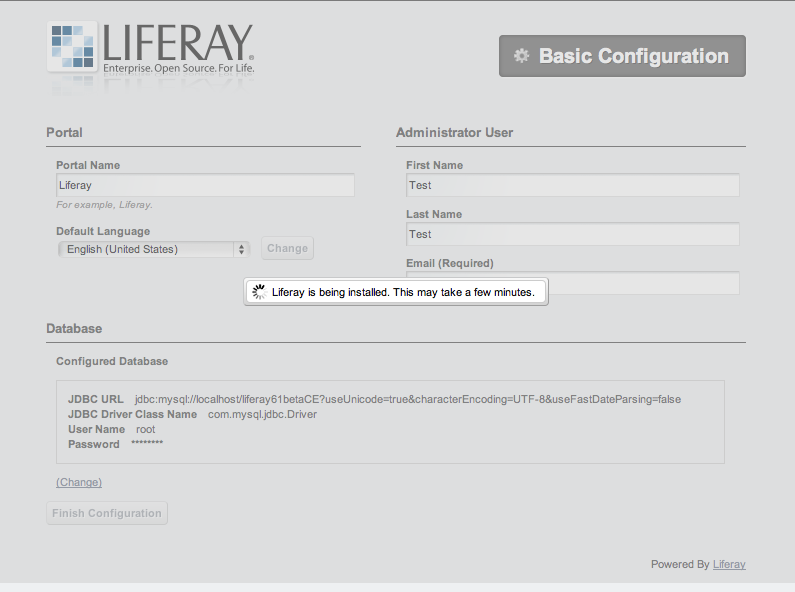 This entry was posted in Liferay, Liferay 61, Technologies and tagged control panel, Liferay, liferay 6.1, liferay 61, Liferay6, portal, social collaboration. Bookmark the permalink.